This is only the beginning of what can be if we dedicate our time and attention on our youth. Let's build our next leaders from our communities that are often left behind. 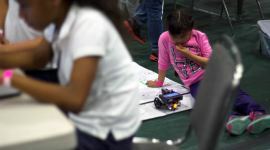 Empowering our youth in coding and robotics. Working to change the lives our our children in South Los Angeles and the Antelope Valley. We are hoping to raise money to extend the reach and programmatic side of the Academy. Be inspired to become a monthly donor.